Passing along this invitation from the Seattle ACS group. If you have an interest in Ham radio, this fun annual event is a great opportunity to watch or participate! Added 6/29/14: For those of you who missed it, West Seattle Blog has coverage of the event here. 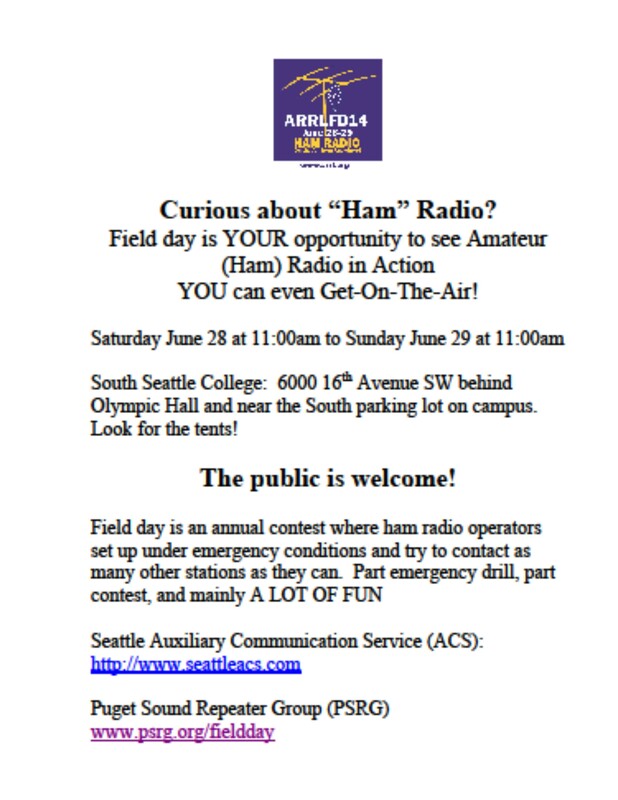 This entry was posted in Announcements, Events, Radio Drills & Field Exercises and tagged Ham radio, Seattle ACS group, Seattle emergency preparedness, West Seattle emergency preparedness. Bookmark the permalink.